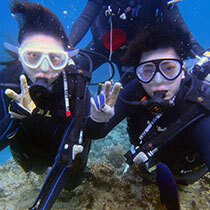 Hop aboard our private boat that will take you to the private point for your okinawa underwater experience. Head for Busena Resort Hotel. 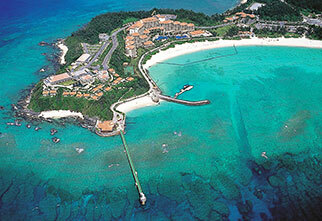 About 90 minutes from Naha airport. Limousine buses are available. 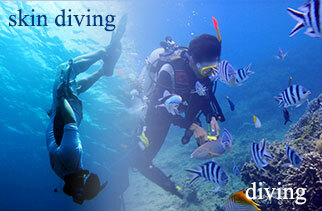 *Those who are participating in diving should avoid a flight on the same day. *Schedule is subject to change according to local sea condition. *There may be an age limit according to local sea condition, please understand beforehand. Island Breeze is committed to offer a unique water experience using their own private boat and snorkeling at the private snorkeling point where will never be packed with other tourist groups. Whether you’re a first timer or a senior, whole members of the family can join to make the most memorable day in their lives! This program is offered for those age 6+. 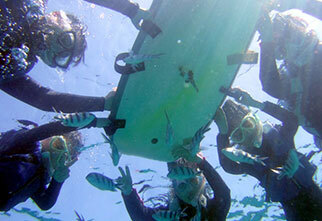 Not only venturing underwater but you can also feed numerous fish while snorkeling.